In 2015, 77% of B2C Marketers and 76% of B2B marketers said they wanted to increase their content marketing efforts in 2016. With less than five months remaining in 2016, it seems they lived up to their promise—with content marketing more attractive than ever. This article discusses some of the best content marketing strategies designed to improve return on investment (ROI). 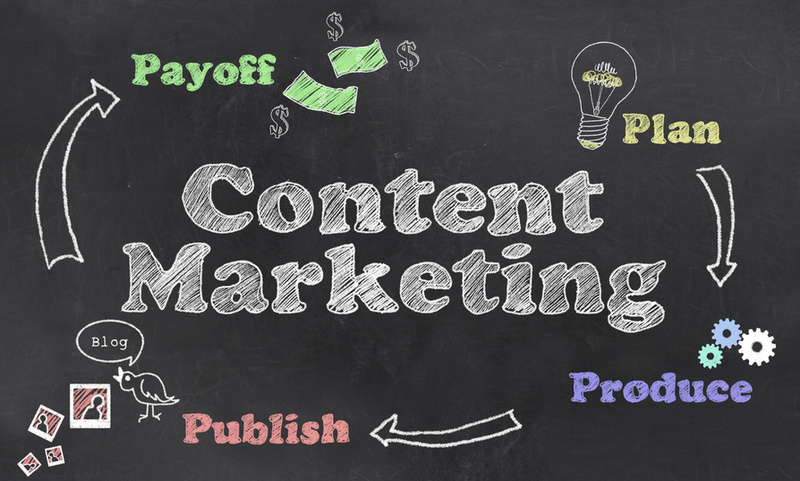 Blog posts remain one of the most useful types of content for solid ROI and are most likely the first thing that comes to mind when one thinks of content marketing. Maintaining a business blog is an entirely different animal from a personal one. A business blog needs to be consistent, interesting, and varied enough to attract new readers continuously while retaining old ones. The first and most important aspect to tackle is a posting schedule. Try to post a variety at least several times a week, and scheduled at least a few months ahead. This program won’t always be followed perfectly but will provide the necessary structure for your content strategy. How can you get the most return on your blog? Just as with personal blogs, business blogs can be monetized via ad revenue—this is perhaps the most obvious way to earn back a little of what you put in. But the main factor remains your content, and what you do with it. Blogs are one of the best ways to drive traffic to your site via search engines and social media. 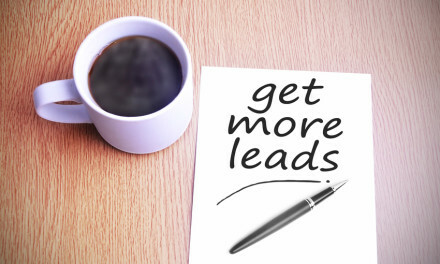 And traffic, as we know, can turn into leads that turn into sales. Remember that Google Analytics is your best friend when considering Key Performance Indicators (KPIs). Use them to measure which posts get the most clicks and—crucially—which ones demand the reader’s attention for more than just a few seconds. Your most clickbait-y post may get a lot of visitors, but it doesn’t do much for conversion if they immediately lose interest. Taking the time to learn which posts people read and using this data to improve your content will go a long way in creating more high-quality leads. Having plenty of calls to action and other incentives to sign up to the mailing list or to request demos has the potential of bringing more clients and customers your way. Jay Baer’s breakdown of the ROI of a hypothetical corporate blog clearly shows how a blog can generate a healthy return on real sales—and that’s not even counting traffic, word of mouth, publicity, social shares, and other beneficial aspects. 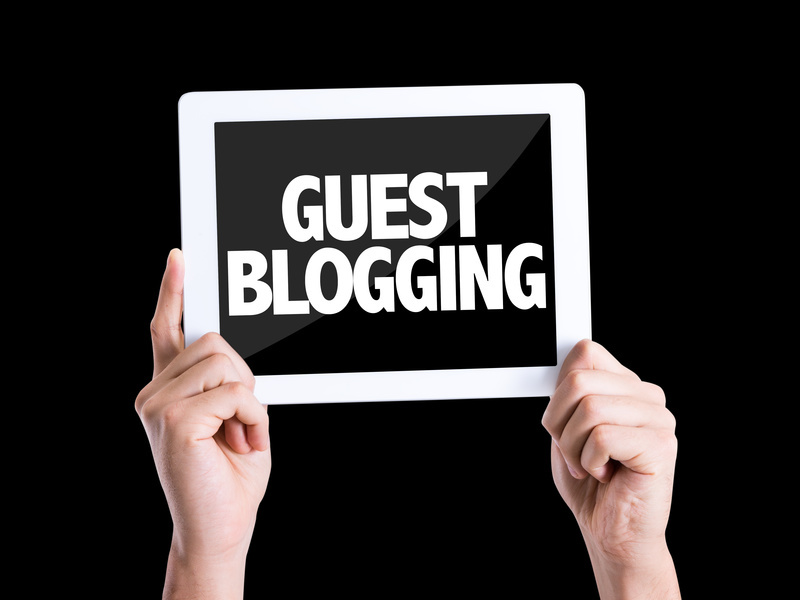 There are two types of guest posts—the ones you submit and the ones you receive. Both have unique advantages. Submitting guest posts to different publications is a tried and true way of getting your name out there and making important networking connections. Put a lot of work into these posts because the higher quality the article, the more chance you’ll have to write for that publication again. Some of the biggest names in marketing such as Outbrain may be harder to reach since they get so many daily submissions. Start with smaller outlets and work your way up. You can begin with this list of 140 places that accept guest posts. The second type of post is one that you will receive from others. As your company grows, you will start getting submissions. Don’t turn them away if they are high quality! Creating content is hard and time-consuming; why not have someone do it for you? Seeking out submissions is another important step towards building relationships with professionals in your company. Regarding hard numbers, the main thing to shoot for with guest posts is referral traffic and exposure. However, don’t expect your guest posts to get a ton of traffic immediately—it will never be your primary source. If you are just starting out with a small blog that is far from a first page ranking on Google, several guest posts relating to your subject (and containing the relevant keywords) on bigger sites can be incredibly useful. This tactic will generate ‘second-hand search traffic’ that will continue to produce views over time. Even though it seems counterintuitive to the whole notion of the typical internet user with a short attention span, longer content is more effective content. Posts that are 1,500 words or longer tend to do better with SEO, demonstrating that people are seeking out informative content. White papers and ebooks are great tools to provide just that—longform, useful and practical advice that will be appealing to consumers and industry professionals. Include these as downloadable offerings with the call to action for subscribers on your site to provide users something for their subscription. While this type of long-form content is more costly to produce (accounting for all the hours spent researching, writing, and designing), it does generate more leads than a short blog post. So, which is better? One long ebook/white paper or a lot of shorter blog posts? Ultimately, it’s about balance. Due to the time invested, it is not cost-effective to publish an ebook every week. Rather, coming out with a few high-quality ones a year will not strain your resources and will create more buzz. If time (or cash) is in short supply, this type of content has a lot of potential for repurposing and recycling. An ebook, for example, can comprise of a selection of your best posts on a particular subject. Combine it with an analysis of the posts and a few concluding chapters, and you’ve got yourself a marketable resource. The other advantage ebooks and white papers have is the option of being gated—accessible only after a user provides their details or subscribes to your blog. While generating leads, it’s also an easy way to measure views. The other analytics to consider are whether readers are returning to take another look, the time they spent on it, and how many shares it got. If your ebook features a lot of data useful to your audience you are more likely to be cited in other blogs, thus building up your brand’s reputation and credibility. Long-form content is also more search-engine friendly, with longer content dominating top search-engine results every year. As such, the final ROI will not be immediately apparent but will instead build up with time. Yes, guest posts are a type of influencer marketing (kinda, sorta), but in addition to creating and trading content you can make yourself the story. 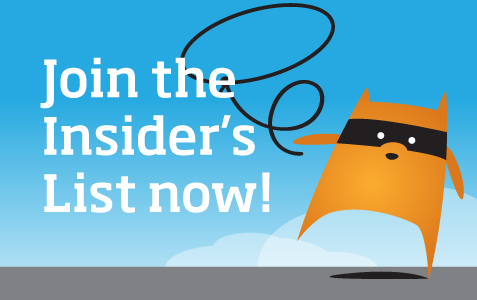 Pitch your product/start-up/brand to influential writers and bloggers in the industry. However, don’t just bombard them with information out of the blue. Build a relationship with them first by following them on social media, commenting on their articles, and sharing valuable tips. Once they know who you are they will be much more open to taking a look at what you’re selling. Marketing bloggers often compile lists of up-and-coming companies—try to get yourself included. If you’re marketing a product, share it with relevant bloggers for a review and receive a unique piece of content in return—a blog post that will reach a whole new audience and will remain on the web to build up SEO. Investment in the influencer strategy is also cost-effective, with companies reporting an average of an almost $7 return for every $1 spent on influencer marketing, with nearly 60% of marketers interested in increasing their budget for these types of campaigns. It is not surprising that influencer marketing is one of the best content marketing strategies. More than 90% of consumers trust recommendations from peers over brands, which leads to a 3x – 10x increase in conversion for content shared through influencers. Brands that have success with influencer marketing combine it with the social power of influencers on different platforms, as evident in successful campaigns by Narativ and Sphero on Snapchat, Birchbox on Instagram, and Ford on Facebook, to name just a few. Video marketing is the next big thing in marketing everywhere from The Guardian to The Huffington Post. The idea of video may seem intimidating, but with the tools available nowadays it’s easier than ever. Start with creating videos for your website that explain how your business works. You can use software that records your screen to take users through the process, with no need to worry about lighting! Once you have the basics done, you can use video to personalize your company by giving consumers updates about what your employees are doing via Facebook Live or Periscope, or drumming up interest in your latest campaigns with some Snapchat teasers. 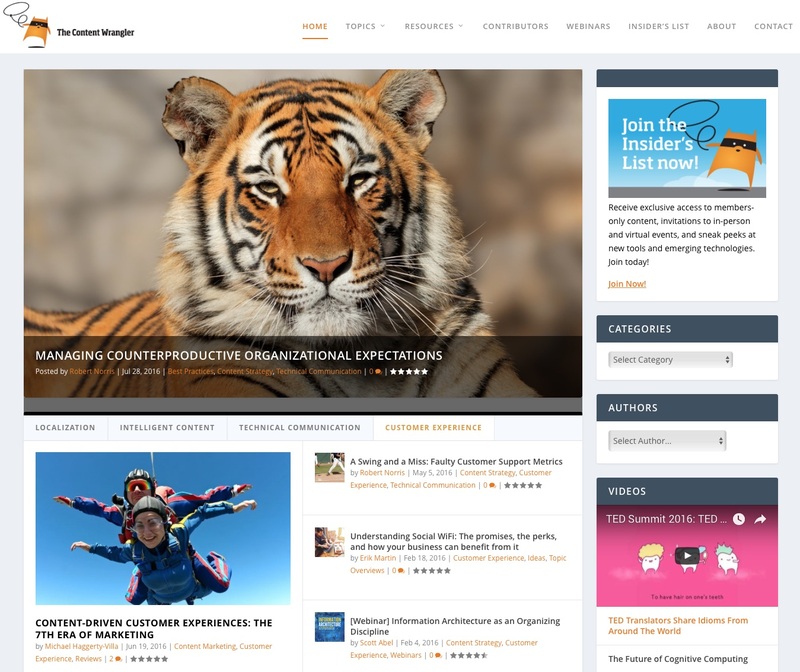 Feature videos on your company blog (just as The Content Wrangler does) to diversify your offerings and make perusing your blog a more dynamic and engaging experience. People are visual creatures who may prefer ‘reading’ a blog post in video form, so don’t be afraid to experiment. Video has one of the best conversion rates of all content (up to 10 times more audience engagement than text-only posts) and doubles the clickthrough rates. Videos also directly impact sales, as was the case with shoe retailer Zappos.com. After adding videos of the products sales increased up to 30%. Another online retailer, Ariat, saw a remarkable 160% higher conversion rate on pages that featured videos. We have shown you a few of the best content marketing strategies you can use for your business. Start with a blog and mix and match different types of content to see what performs best for your particular industry and company. 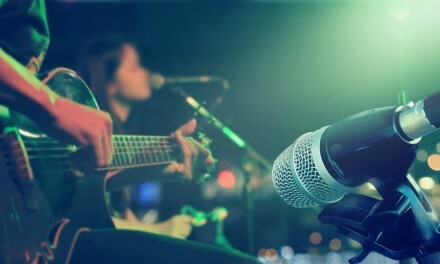 Finding the perfect voice to tell your brand story will take time but your ROI will be proof that it was time well spent. 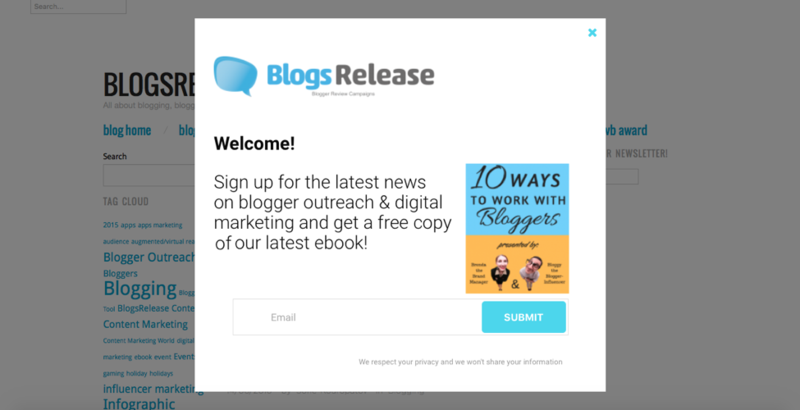 BlogsRelease implements, monitors, and analyzes blogger review campaigns for top brands worldwide. Download our free ebook, How To Get Bloggers To Write About Your Product.